I used Cindy Walter’s Snippet Sensation techniques to create this quilt. 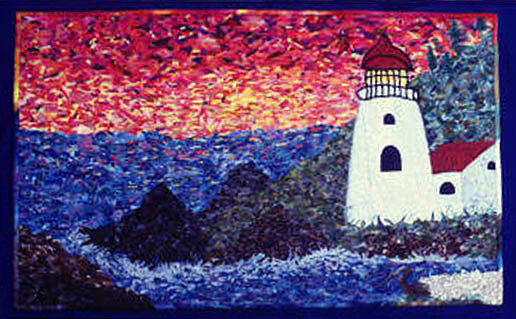 My father loves lighthouses so I decided to make this quilt using the Heceta Head lighthouse in Oregon as my inspiration. Cindy Walter included this quilt in her book, More Snippet Sensations. All of the individual snippets of fabric were fused onto the quilt top and machine embroidered into place.